The 76ers' Joel Embiid reacts after making a shot against the Bucks on Sunday. 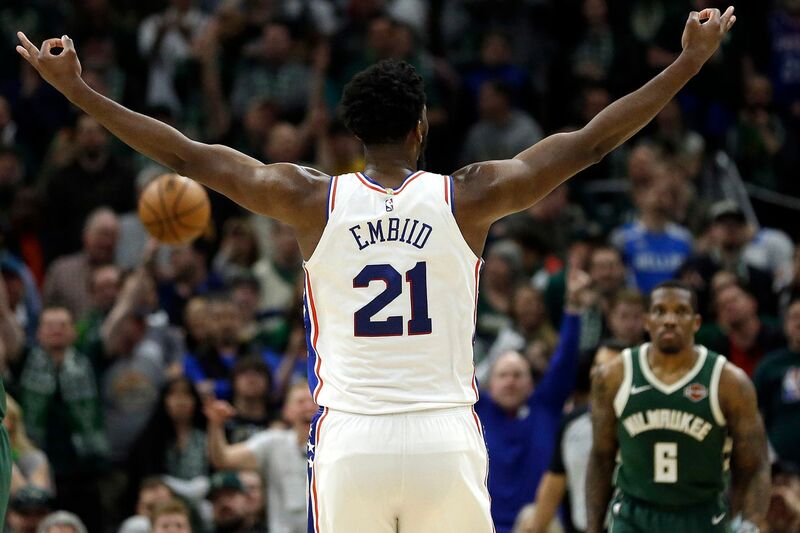 MILWAUKEE — In the latest Locked on Sixers podcast, Keith Pompey dissects what Sunday’s 130-125 victory over the Milwaukee Bucks says about the 76ers, He also said it’s an expected and wise decision for Joel Embiid to sit out Tuesday’s game at the Charlotte Hornets. Pompey concludes the podcast with another inside look of being an NBA beat writer.